It looks like I'll be boycotting another battlefront again. Back in 2015, I wrote the reasons why I would not buy Star Wars Battlefront. A half-baked video game that was thrown out the door to cash in on the new movie. It wasn't worth the $60 price tag EA put on it and then they had the balls to charge $50 for a season pass. Star Wars: Battlefront 2 at the beginning of 2017 was shaping up to be a great game. EA wanted to get rid of the season pass model to encourage longer shelf life. And add a campaign that was missing from the first game. Then the beta hit and everyone found out what it meant by cutting out a season pass, which was then replaced by loot-box microtransactions. 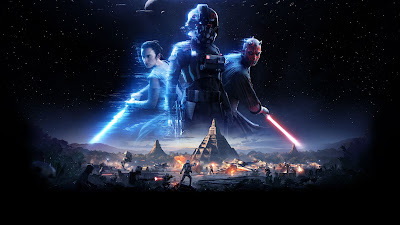 Not only where these loot-boxes a replacement for the season pass, they are designed into the multiplayer of the game as progression. Basically making Battlefront 2 a pay-to-win video game with a $60 price tag. If that isn't bad enough, they have the balls to charge tiered versions of the game. Stanard at $60 and Deluxe Edition at $80. What do you get for spending $20 more on the game? Upgraded trooper classes, effectively giving you an advantage right out of the gate. If that isn't enough, it has been known that they are selling starter packs which give you rare Star Cards and in-game currency that can allow you to buy loot-boxes before you even start playing. How can anyone say this isn't pay-to-win? I am not only boycotting Battlefront 2 because of EA's scummy business practices to squeeze every dollar out of their player base. I am also boycotting this game because they shut down Visceral Games. Visceral Games was working on a single-player Star Wars game. Despite what EA says on their reasons why they canceled the game and shut down the studio working on it. It has been found out from one of the people working at the studio that since EA couldn't find a way to effectively shove microtransactions into it, so they canceled it and moved the assets to another studio. Moving the assets doesn't mean it will be the same game that Visceral Games was working on. Whatever that game was, is now dead. These are the reasons why I am not buying or playing Star Wars: Battlefront 2. I have to vote with my wallet, this is the only way they will listen. Complaining and then turning around and purchasing the game does nothing. It only shows EA that we are willing to accept their scummy business practices. To really hurt them where it counts is to not buy this game. To lose money is a business' worst nightmare. Till EA goes back to making great games without the scummy business practices, I think I will never buy a game from them ever again. If you have been living under a rock this year, then you might not have heard about one of the biggest games of 2017. 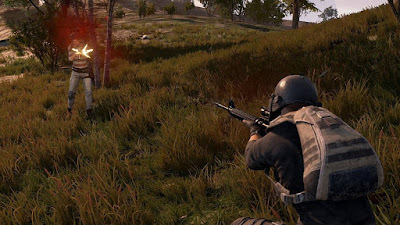 Known as PlayUnknown's Battlegrounds, it has taken the video game industry by storm and it is still in beta on the PC. Yup, this is an Early Access title on Steam that has sold over 15 million copies. The popularity of the game has gotten Microsoft wetting their chops to get it exclusively on the Xbox One. What makes this game so special that it has over 15 million downloads and a major console manufacture giddy like a school girl? I thought the same thing. I finally took the plunge and bought it. For $30, it wasn't a bad price tag to pay to gain access to this Early Access title. So far I have enjoyed my time with the game. If you don't know what this game is by now, then you have truly been living under a rock. 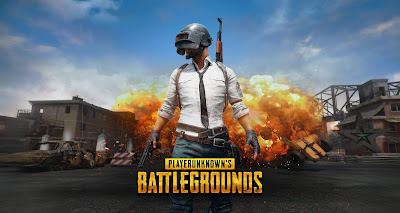 PlayerUnknown's Battlegrounds (also known as PUBG for short), is a battle royal style multiplayer game which puts up to a hundred players against each other on one huge map. The game works like this. You pick either solo, two player, or squad team game mode. Then you are randomly placed into a game that quickly fills up to a hundred players. Once all the players have joined, the game starts by flying you over the huge map. At this point you can pick when to jump out and para-shoot your way down to the ground. Once on the ground you hunt for weapons and gear that will randomly generate across the entire map (they are never in the same locations twice). They can be found mostly in buildings, but also spawn in some open areas. Depending on the game mode you picked you will then hunt down and kill all the other players till there is one person or team left to declare as winners. To keep players from camping and staying in one area of the map. They will have a limited amount of time to make it into a randomly placed safe circle. Once the timer runs out a blue circle will then start to close in to the safe circle. Anyone caught outside the blue circle will start to take damage. As time progresses the safe circle shrinks smaller and smaller forcing players to encounter each other or die outside the blue circle. At first I didn't know what to think about this style of gameplay. I normally don't like competitive multiplayer games like this. But PUBG is a game I have never really played before. What I enjoy the most is how fast this type of game is. You could be in and out within five minutes or less depending on how you play and your skill level. A match could last up to about twenty minutes if you make it all the way to the end. Though, you only get one shot at playing, once you die the game is over for you and you're quickly sent back to the main menu to join another game. This and the hunt for weapons and gear can get exciting and rather addicting. PUBG currently only has one map and a few game modes. 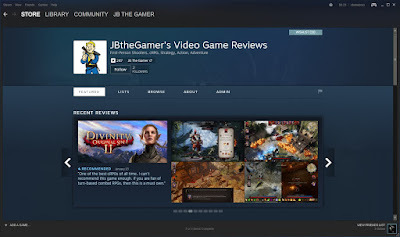 It is still in Early Access on Steam (also known as Beta version). Though a desert map is coming out rather soon to change up the scenery. But it should be noted that while still in Early Access, the game does have bugs and an issue with cheaters. But despite all that, I still find it fun and at times hard to put down. If you are looking for a frantic, challenging and fun multiplayer game under $60, I'd suggest taking a look at and/or purchasing PlayerUnknown's Battlegrounds.